Stohlman Volkswagen is Proud to Introduce the Volkswagen Corporate Partner Plan! 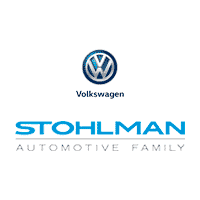 Volkswagen and Stohlman Volkswagen are working together to thank our corporate partners! Whichever Volkswagen you choose, we’re proud to have you as part of the Stohlman Volkswagen family. If you know a VW employee or an employee with one of the Volkswagen Partner Plan employers, then you might qualify for discounts on your next new vehicle purchase from Stohlman Volkswagen of Tysons Corner! For more information on participating employers and possible discounts, please fill out the form to the right or call our sales department at (866) 308-5831.